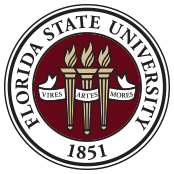 "I have had the pleasure of working with Cook Brothers, Inc. over a span of 15 years at two different institutions, Florida State University and Tallahassee Community College. In all interactions they are professional and thorough and the quality of their work is uniformly excellent." "Without a doubt, this team of builders went above and beyond to insure high quality. This team was responsive, considerate and completed the projects on time." "It's standard business practice for them to include the customer's needs and desires from initial stages of planning all the way to completion... They are the best." "The project has gone smoothly and is almost two months ahead of the scheduled completion date and well under the budget contract amount." Southeast since 1996. EMO worked closely with COOK Brothers, Inc. and we found your team to be fair, appropriate and forthright in your dealings with all parties associated with the project. EMO truly enjoyed our working relationship with CBI." - Warren A. Emo, AIA, NCARB, CGC, President/Principal-In-Charge EMO/Architects, Inc.
Benson's Heating & Air Conditioning, Inc.
"Throughout the course of our dealings with Cook Brothers, Inc, they have always been professional and fair in their dealings with us and other subcontractors. I can recommend them highly and without reservation." - Wesley Merritt, Vice President, Benson's Heating & Air Conditioning, Inc.
"I want to thank you for all of your help making this construction project and enjoyable journey. Your leadership and oversight on this project was excellent as well as the workmanship and timeline and the 'hassle-free' environment of your staff and personnel. Working with you has been a pleasure and we certainly look forward to many more projects in the future. I would definitely, without reservation, recommend Cook Brothers to anyone needing construction. You folks are great!" "I want to take this opportunity to commend Cook Brothers, Inc., for the expertise and professionalism your firm has displayed in the construction project..."
"Your attention to detail is pretty incredible and I appreciate the many changes you accommodated for your team. I hope you will build another office for us in the near future." "I appreciate the fact that once construction began every effort was made to complete the building ahead of schedule and on budget. I am pleased with the workmanship and the materials used on this project, as well as the onsite supervision provided by Cook Brothers." - Jeff Lawson, Development Director, North Florida Medical Centers, Inc.
"We are well pleased with the final product and the attention given to this project by the staff of Cook Brothers, Inc."
"Your company has never failed to meet an obligation, be it schedule or budge and your attention to both large and small details has been excellent." "It was wonderful for the Disability Support Services office to have a positive working relationship with a TCC contracted construction company." 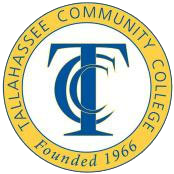 "I would like to personally...thank you and your staff for the wonderful service given to Tallahassee Community College." "The quality of work performed to date has been very good." - Mark B. Krause, Chief - Construction Admin. Goodwill Industries of Big Bend Inc.
"You truly went above and beyond for this organization." - Bill Graham, President, Goodwill Industries Big Bend, Inc.
"We did not consider another contractor. Cook Brothers, Inc., is an integrated member of our development team." Goodwill Industries Big Bend, Inc. INC.